EVT organises its 5th EDITION of DoYourMOB, in Milan, on the 15-16 November. Four invitations are reserved for ENSIE's members! See the invitation, practical info and application form. 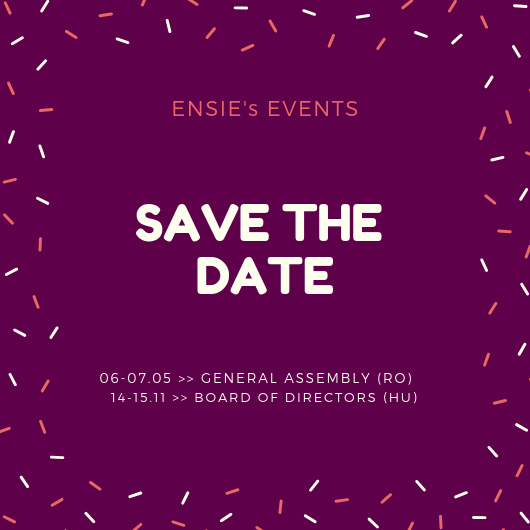 Different members of ENSIE are joining Aurélie and ACT Group in Zagreb on October 24: Charlotte Gruber from arbeit +, Austria, Michele Rigby from Social Firms England, United-Kingdom. Join us at the conference “Work Integration Social Enterprises in the European Union” which will be held on 24 October in Zagreb, at the Conference Hall of the Houses of Europe starting at 9:30 AM. The draft program of the conference can be found here. To participate in the conference please register here no later than October 20. We can accept a maximum of 2 representatives per organization; the organizers will confirm your attendance within 48 hours. The conference is jointly organized by the ACT Group, a European network of social enterprises for work integration – ENSI, the British Council Croatia and the Croatian Ministry of Labour and Pension System, with the support of the European Parliament, the Information Office of the Republic of Croatia.